Chairman Matt Hartle called the Board of Trustees Meeting to order at 7:31 a.m. in the Creston School Gymnasium with the following members present: Joanna Massie, Shawn McDonough, Jessica Sandven-Sorensen. Julie Tikka was out with medical concerns. Also in attendance were: Tami Ward – Principal, Tammy Bartos – District Clerk, Jack Eggensperger – County Superintendent, Nicole Noonan – Auditor and approximately 10 visitors. Minutes: Joanna Massie moved and Shawn McDonough seconded approval of the minutes of the 10 May 2018 reorganizational meeting. Motion passed unanimously. Jessica Sandven-Sorensen moved and Joanna Massie seconded approval of the minutes of the 23 July 2018 special meeting. Motion passed unanimously. Jessica Sandven-Sorensen moved and Joanna Massie seconded approval of the minutes of the 31 July 2018 special meeting. Motion passed unanimously. Public Participation / Correspondence:An email from Hana Kukla, received by Principal Ward, 8 August 2018, in regards to the proposed Wi-Fi tower, was delivered and read by the trustees; concerns with lack of public comment prior to the signing of the contract and the contract itself. Chair, M. Hartle, opened up public comment, at which time H. Kukla then read her email aloud. All other public comment was also in reference to the proposed Wi-Fi tower. Various concerns regarding the proposed Wi-Fi tower were commented on by Petr Kukla, Ming Lovejoy, Tricia Rogers and Shane Rogers including lack of public comment prior to the contract being signed, timing of filing of an easement agreement at the County, negative health risk concerns, long-term contractual obligations, community relations, support of a levy to fund a different means of providing services, long-term effect of having tower on the property – if school building does not occur on the property. Support for the tower installation was voiced by Sara Stone, Jeremy Edmondson and Joann Russell, including not having health risk concerns (hospitals use Wi-Fi), frustration teachers and students have with the current Internet situation, the need to keep up with technology, and being fiscally responsible without a levy to the taxpayers. Audit Report Fiscal Year 2016-2017: Nicole Noonan, CPA, shared the results of the audit she conducted. 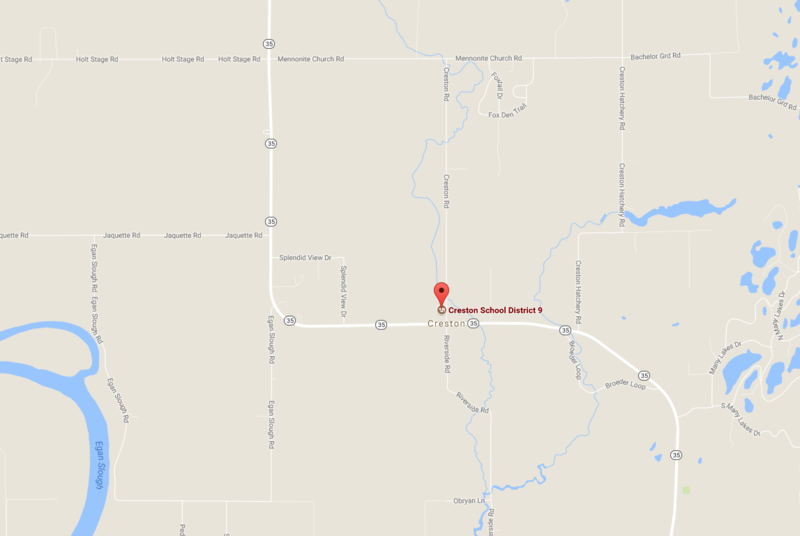 Creston Road Land Lease Request by Heidi Rogers:The June 21stemail showing interest in leasing the property at 131 Creston Road was withdrawn in a subsequent email dated August 8th. 2008 School Facility Inventory (FCI) Reports – Update:In 2017, Senate Bill 307 passed a resolution which included a requirement that the 2008 FCI Report be updated. The first update must be completed by July 1, 2019 and subsequent updates will be required. Principal Ward will be heading up the FCI Report update. Clerk: Summer months are filled with End-of-Year transactions, Trustees Financial Summary (TFS) and Budget Preparations. These items will be addressed in the Consideration of Action Items portion of the meeting. Principal: Unofficial student enrollment number is 101. Written, public comment regarding broadband and the proposed Wi-Fi tower is being accepted until August 30th, 2018 at 5:00 p.m. Grants: a $1,499 Artist in School Grant has been received as well as a $1,500 grant for Tami Ward to attend the National Rural Educators Association convention. Building Maintenance: repairs and upgrades have been completed this summer including parking lot addition, painting, storage cabinets and roof/insulation repair. 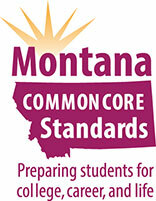 Teacher professional development (PD): First grade teacher, Melissa Potts, attended the MSSA standards workshop, a requirement for rural schools without a certified counselor or librarian. Teachers will attend a STEAM conference and the Northwest Reading conference in August. All teachers and staff will participate in First Aid/AED refresher training, as well as Suicide Prevention training. School-wide focus this year for PD will be student engagement and spelling instruction. Updates on the Education and Special Education Cooperative were given. Safety: Mr. Hagen has completed needed inspections for asbestos, playground and facilities. Bus Repairs: awaiting diagnostics; checking on it daily and hope to have a firm estimate and diagnosis by Monday, August 13th. 1400 BOARD OF TRUSTEES – Board Meetings. Revised. The trustees discussed setting a different regular meeting day and time possibly 7:00 a.m. on the 2ndThursday of each month. This was a 1st No motion needed. 2017-2018 Trustees Financial Summary. Tammy Bartos presented the FY18 TFS to the trustees. Shawn McDonough moved and Joanna Massie seconded to accept the 2017-2018 Trustees Financial Summary as presented. Motion passed unanimously. 2018-2019 Budget Report. Tammy Bartos presented both the OPI Draft Budget Report and an internal worksheet of the report to the trustees. Comparisons to the FY17 Budget were made to aide in the discussion, as well as the SB307 notice that was part of the spring preliminary budget discussions. Joanna Massie moved and Shawn McDonough seconded to accept the 2018-2019 Budget Report as presented. Motion passed unanimously. Substitute Teachers List. Tami Ward presented a list to reemploy substitute teachers from last years approved list. Joanna Massie moved and Jessica Sandven-Sorensen seconded to approve the Substitute Teacher List as presented. Motion passed unanimously. Professional Development for Staff – NW RISE. 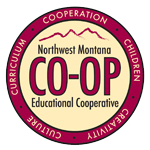 Montana Office of Public Instruction (OPI) has recommended we consider becoming members in the Northwest Rural Innovation and Student Engagement (NW RISE) Network. The network exists to share strategies, spread best practices and learn together. Jessica Sandven-Sorensen moved and Shawn McDonough seconded to approve using Title IV professional development money for our teachers to participate in a network of professionals through NW RISE. Motion passed unanimously. Transportation Contracts. Twenty-seven (27) contracts (families) were presented in the request. Shawn McDonough moved and Joanna Massie seconded to approve the transportation contracts as presented. Motion passed unanimously. Before School Care Contracts. Four (4) contracts (families) were presented in the request. Jessica Sandven-Sorensen moved and Joanna Massie seconded to approve the contracts as presented. Motion passed unanimously. Out of District Contracts. None presented. Gym & School Grounds Use requests. None presented. Payroll/Substitute/Claims: The Board approved all claims for 6/29/18, 8/2/18 and 8/9/18. Meeting adjourned at 9:49 a.m.